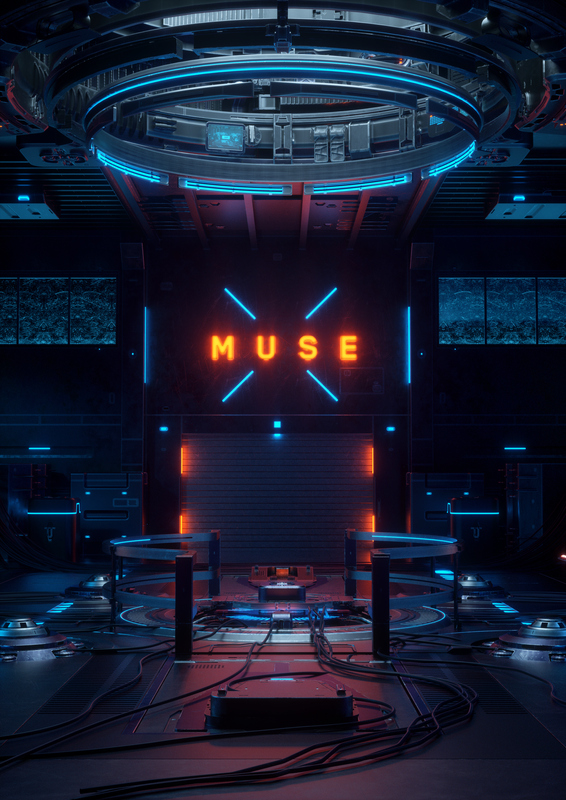 "MUSE" is an experimental short film that intends to take you on a journey through the imaginary future world and space. Today, we live in an era of technology, which keep changing almost every aspect of our lives. However, I am wondering if technology could bring us a bright future or not. I have always obsessed with science fiction stories and films since I was a child. Therefore, I decided to direct a computer-generated short film to present an immersive and unique tomorrow’s world to the audiences. At the stage of concept and narrative, I found a lot of inspiration from conceptual works and sci-fi films such as blade runner 2049, ghost in the shell and works from concept artist simon stålenhag, et al. I spent three months working on this graduate film at the last period of student. Meanwhile, this is my first time to direct a completed film individually. There are many shortcomings and problems in this film, but I still enjoy the process of directing the whole film from zero to one. Louis Ansa is a interactive designer from Amsterdam, Netherlands. He shared on his Behance profile a really cool project featuring some of his motion design work done in the past 2 years.